The announcement on Monday that those teachers who did not strike last year will be getting a hefty honorarium is not going down well. 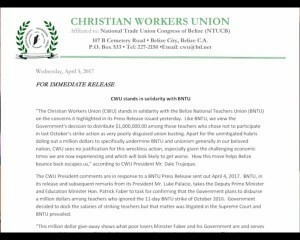 The Belize National Teachers Union is calling the move a case of union busting at a time when the treasury is broke. The C.W.U. today told News Five that it is standing in solidarity with the B.N.T.U. and its members, following what they also call, a deliberate act of union busting by the government. 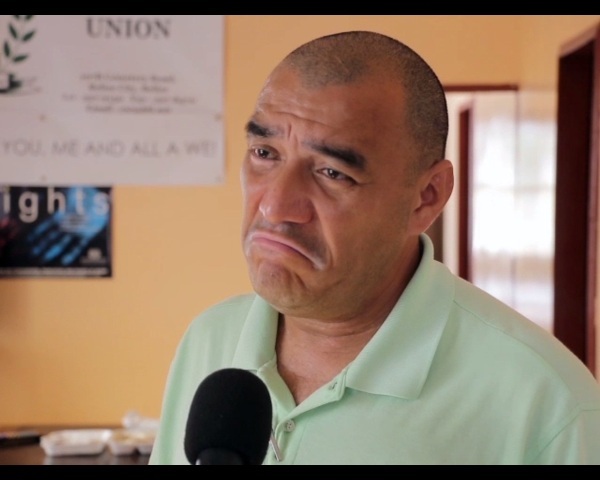 Earlier this week, Minister of Education and Deputy Prime Minister Patrick Faber made the announcement that non-striking teachers would be receiving a million dollar in honorarium. But even as the teachers reported to work, the students kept away. 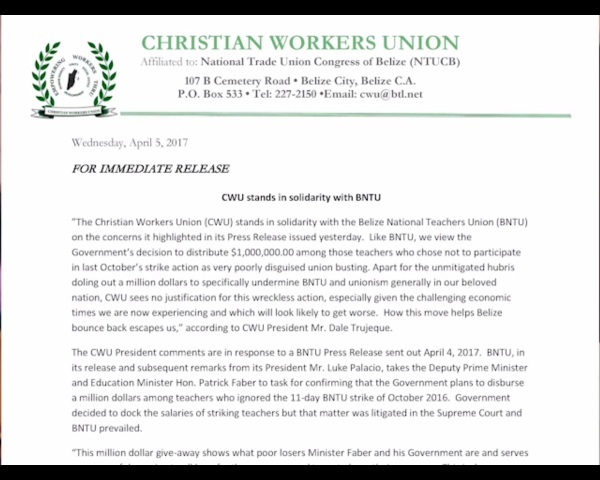 According to CWU President, Dale Trujeque, those teachers also received their salaries, as did the striking teachers. He says, the ‘bonus’ could be used for the healthcare system.